His bats will be made by SS. Think I'd rather have my bats made by Chris King at Robertsbridge, far more potential to be able to actually go in and help craft a perfect shape and a more personal experience. I guess money talks. Well he's out in India in a couple of weeks time, so whatever can be done at Robertsbridge, B3 etc etc can also be done at the SS factory too. whatever can be done at Robertsbridge, B3 etc etc can also be done at the SS factory too. There's a lot of snobbery about Indian bats. But many professionals do prefer using them and believe they're better than what batmakers in the UK can offer. I don't think its a matter of Indian bats being better or vice versa. The willow is exactly the same and ultimately thats a fundamental ingredient to the final product. All of the various brands such as B3 etc over here make some great bats, as do overseas brands such as SS, SG and CA. I think some people find the idea of exporting the willow and then importing it back a bit wasteful when we are fortunate to have some excellent makers here. I ageee that no one country can claim to be the best makers though I understand that people want to support manufacturers in their own country. On English vs Indian, a very good player of sadly limited test experience explained it to me thus... One is not better than the other per se, but if you want to use a product out of the wrapper, Indian made bats will give you a good time, if not a long one, whereas English bats take longer to play in. Is he correct? Possibly, partly, in some circumstances. Such is the vagary of a natural product. That is a good picture of a pro cricketer geared up - the (minimalist) branding is there but not jarring; emphasis on the sporting image and of course the young star. I've had some lovely bats that were made in England. I've had some lovely bats that were made in India. I currently have 4 bats that could potentially be my match bat for 2017, 2 are English made and 2 are Indian made. To me, if it feels nice in the hands and performs well I'll happily use it, I couldn't care less where it was made. 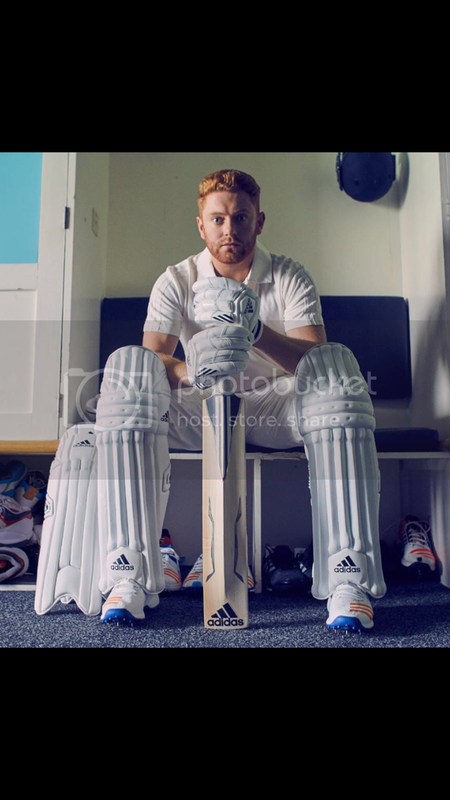 James Taylor on the radio/TV the other day said that Eoin Morgan always had the biggest and best bats in the Eng changing room. I doubt his are English made. I have no idea why there should be any snobbery about where the bat is made personally. Morgan had/has his made at Kippax, no? Page created in 0.622 seconds with 43 queries.